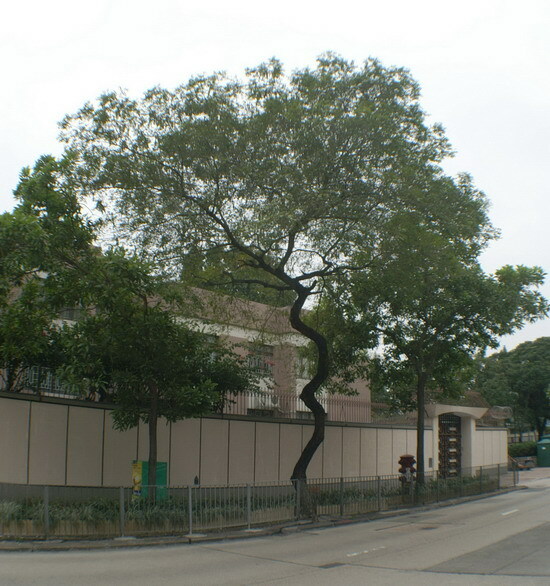 There is a Lebbeck tree (Albizia lebbeck) at Cornwall Street near Waterloo Road in Kowloon Tong. 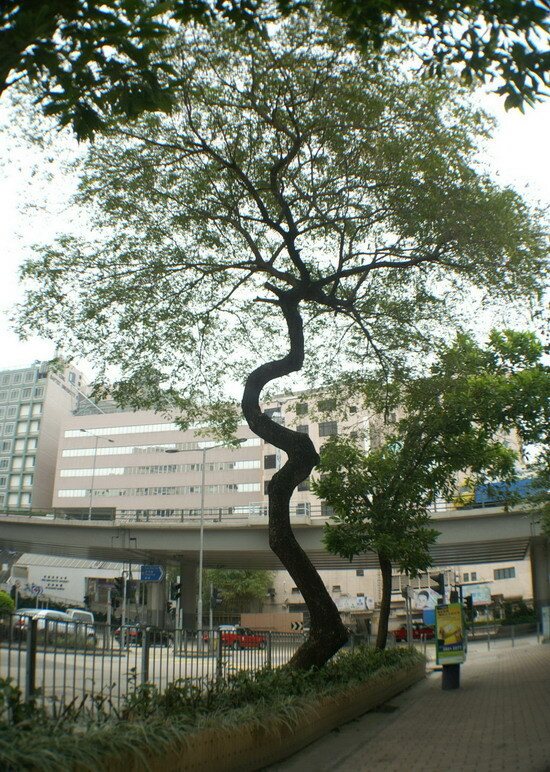 Its unique tree form is a classic example when we study “tropism” of trees. Plants grow up is their nature. When the tree grows in a tendency to lean, it will instinctively rectify itself. If it’s too much, then rectify again; again and again…. You can see six turns of direction in this tree trunk which shows its determination to never give up! Whenever I pass by there, I always like to take a look at this tree. In our journey of growth, we inevitably make some wrong turns. If we are lucky, we discover it soon enough to rectify the situation in time. The number of wrong turns that I have had so far is comparable to this tree. Hope this tree also sprinkles some inspirations on you.